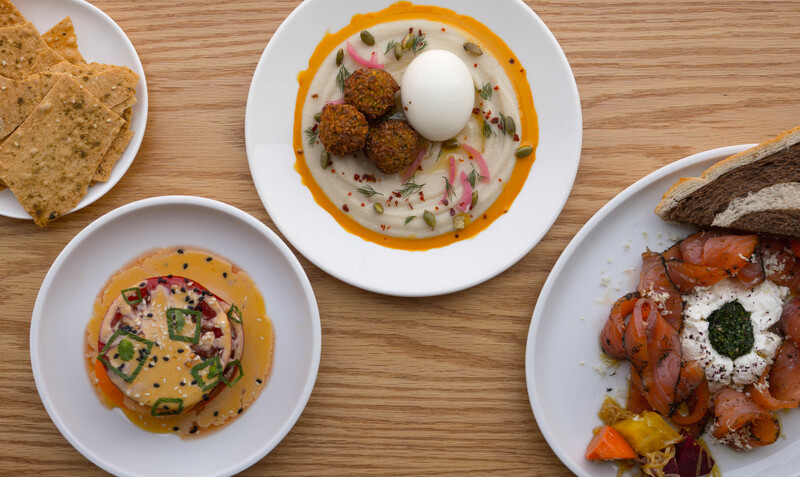 New York is full of things to do in the spring, especially if you want to check out the best new restaurants in NYC to open after a slow start to the year. 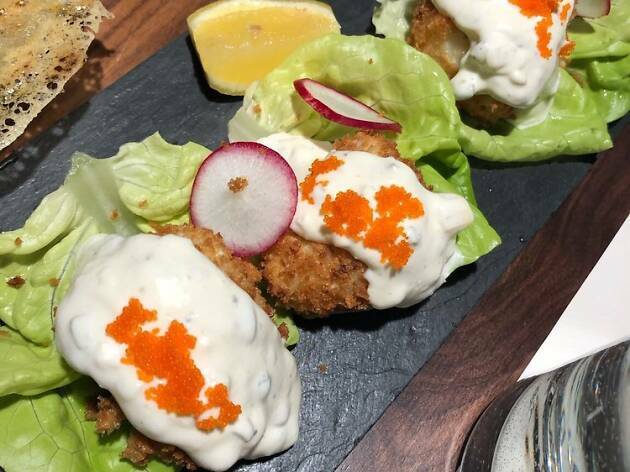 Leading chefs from Michelin star restaurants in NYC have opened at the ritzy Hudson Yards development while there's a strong contender for our list of best restaurants in Harlem. These are the places we want to visit now. What's special about San Pedro Inn is the amount of care it took to make it look and feel like a neighborhood bar. And not "neighborhood-y" in the way that many spots brand themselves to feel like they're apart of a community. Even in its first weeks of operation, characters from all walks of life have found a home at the former site of Bait & Tackle, the once-beloved dive bar. The idea for San Pedro came from a collaborative art installation between Gabriel Florenz, Artistic Director of Pioneer Works (which is located just down the street) and Jason Grunwald. Design remains an intrisic part of the ethos; Grunwald, who also owns Other Times Vintage, a furniture shop in Bushwick, built out the space himself. 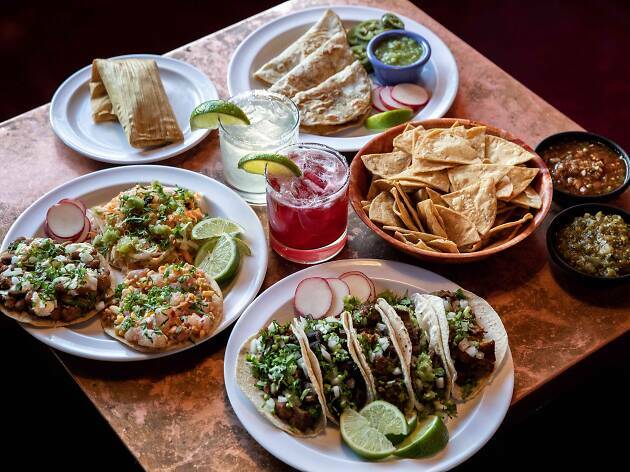 San Pedro Inn serves tacos, quesadillas and tostadas, with housemade fermented hot sauce, farm fresh vegetables and homemade tortillas, all made by Norberto Piattoni, formerly of Mettā. And the drinks...it is a bar after all. Here, you can get classics like a Corona or G&T, but the standouts are their sensational margaritas; they're offered as the regular or with hibiscus (we prefer the regular). 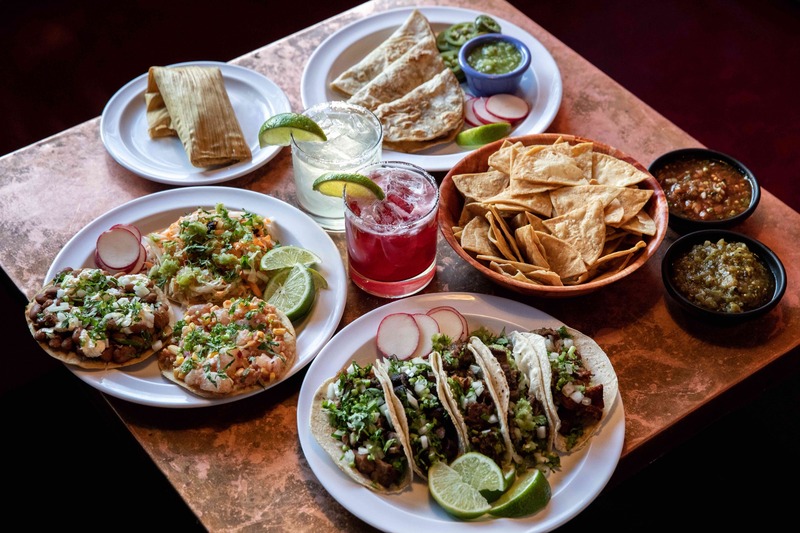 The end result is a near-perfect bar that blends American dive sensibilities with great Mexican food and drink traditions, a nod to Florenz' roots. Inspired by Los Angeles all-day cafes like Gjelina and Sqirl, Gertie serves up bowls and toast with the soul of real New Yorkers. Run by Nate Adler (Huertas), Will Edwards (Marlow Collective) and Flip Biddelman (Huertas), the result is a gorgeous 70-seat spot off the Lorimer L train, in ode to Adler's grandmother, who was born-and-raised in Queens. 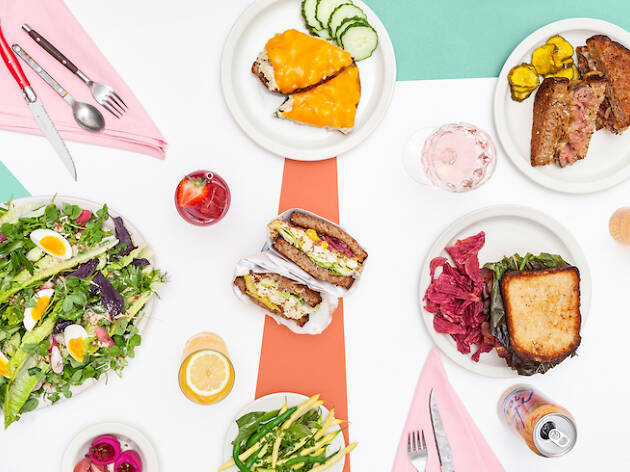 Here, luncheonette-style dining made for 2019 (there's an Instammable mural designed by artist, Lea Carey). For brunch, you'll find egg 'n cheese on bialys (made in-house by Savannah Turley), the Gertie Breakfast (two sunny eggs, white beans, greens and toast) as well as squash toast. For lunch, there's rotisserie meats, provolone, lettuce and Italian dressing on a challah roll, a smoked fish dish (whitefish salad and melted cheddar on sesame sourdough) as well as a cauliflower melt (spicy cauliflower, pickled peppers and cheese sauce on sesame sourdough). 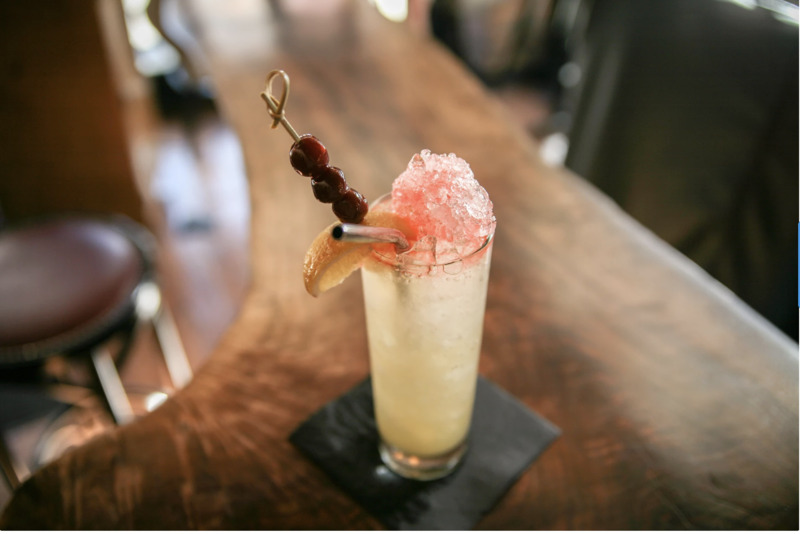 For dinner, you can expect more rotisserie and pot pies as well as high-ball drinks with syrups made in-house. 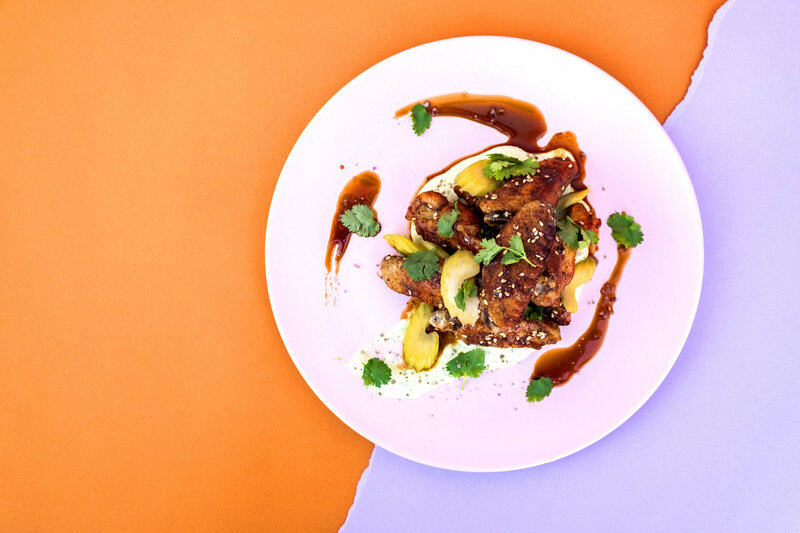 Located in the Africa Center at the top of Central Park, Teranga evolves fast-casual dining into something truly exceptional. It's no surprise given the name, which loosely translates from Senegalese to mean "good hospitality." For a space serving up fast-casual, Teranga manages to make the experience a serene oasis, with playful interior design that makes you want to stay a while, even if the food comes out quick. 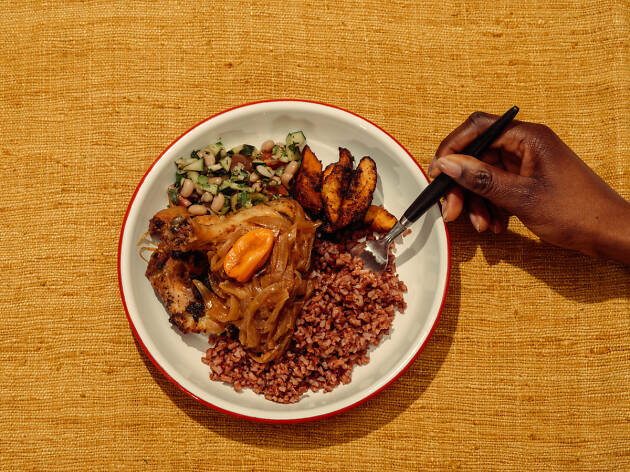 Here, in a menu run by Co-Founder and Executive Chef, Pierre Thiam, you'll find West African dishes like "Attieke" (fermemented cassava couscous), spicy plaintains, and red palm fufu. 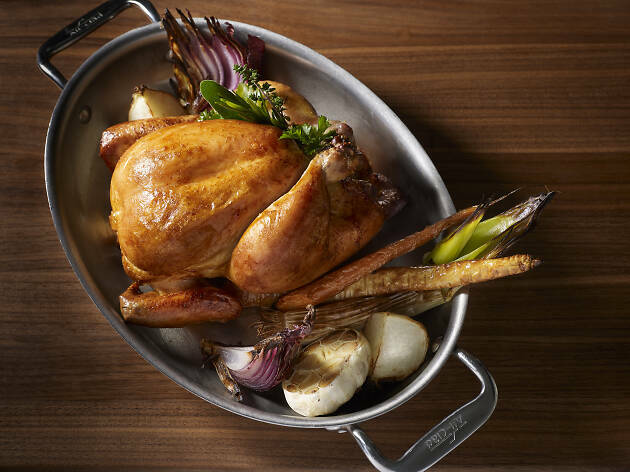 TAK Room anchors Hudson Yards because not only is it chef Thomas Keller’s first New York restaurant in 15 years but he also helped curate all the other eateries residing in the multi-billion dollar development. Keller takes a throw back approach with the menu featuring strip steaks, Dover sole and classic Caesar salads prepared tableside. Petra leads with a Mediterranean-inspired menu that was recently gut-renovated by chef Autumn Gilbert. 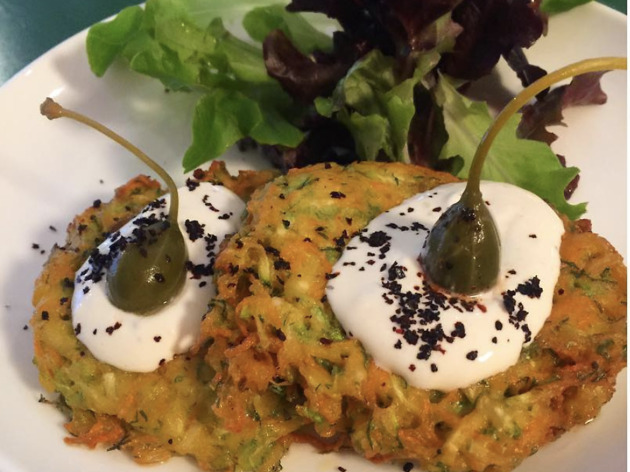 Now, you'll find a pomegranate salad with butternut squash, peas and fava beans, farinata (a Ligurian chickpea pancake) with marinated peppers, olives and a house prepared yogurt, as well as charred eggplant, stewed lentils, soft boiled eggs and herbs. For far too long Petra has remained Bushwick's secret. 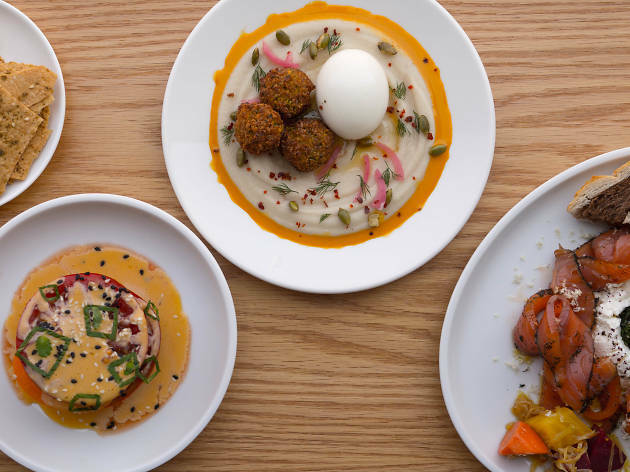 From the team behind Henry's wine shop and Sunrise/Sunset coffee, the terrazzo and millennial pink spot (nearby dancing at Nowadays) is located on an otherwise sleepy block, worth a trip even if you don't live in the neighborhood. Photograph: Courtesy Yelp / Valerie L.
Momofuku founder David Chang handed executive chef Eunjo “Jo” Park the reigns at Kāwi, which feels like the New York answer to Chang’s Majordōmo in L.A. While the menu has a strong Korean influence like most of the Momofuku empire, the food is elevated yet playful. 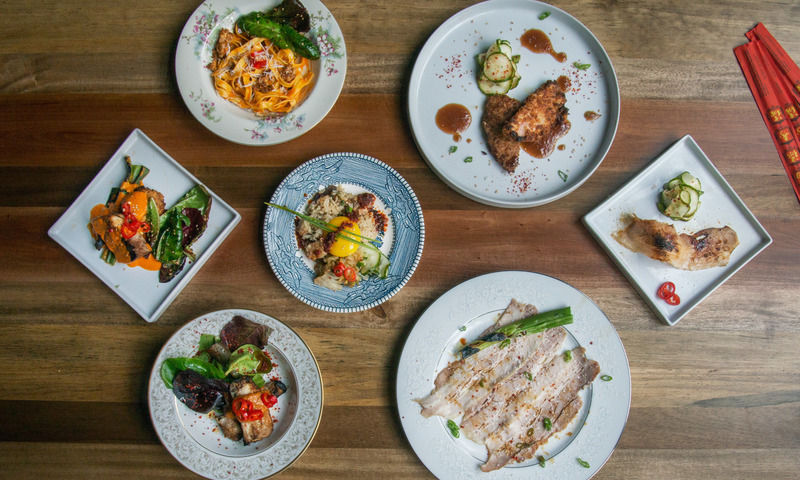 Haenyeo, a Korean corner restaurant in Park Slope, comes from the mind of Jenny Kwak. 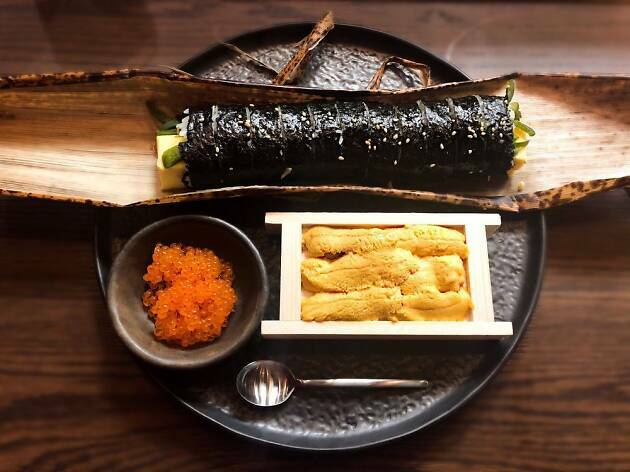 Prior to opening Haenyeo, Kwak worked her mother's two legendary traditional Korean spots. The name comes from the strong will of sea divers in South Korea's Jeju, and it's this same independent spirt that echoes throughout the menu. 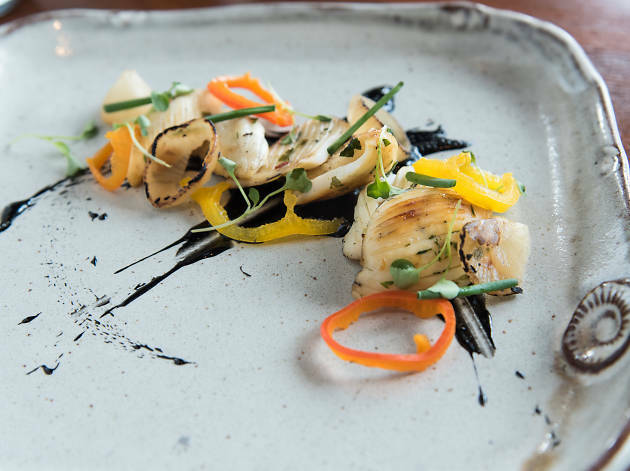 Expect dishes such as grilled oysters with seaweed butter and brioche toast, bouillabaisse and a spicy kimchi stew with pork belly. An unlikely beignet dessert finishes off the meal. At this Turkish neighborhood bistro in Bed-Stuy, guests sit on wood desk chairs under a disco ball. The menu includes borek (thin layered pasta dough) with melted gruyere and greens, a celery root salad with blood orange dressing and sunflower seeds, fava beans with fried artichokes and pickled beets, as well as Merguez meatballs with scallion parsley rice, white bean tomato salad and lemon yogurt. 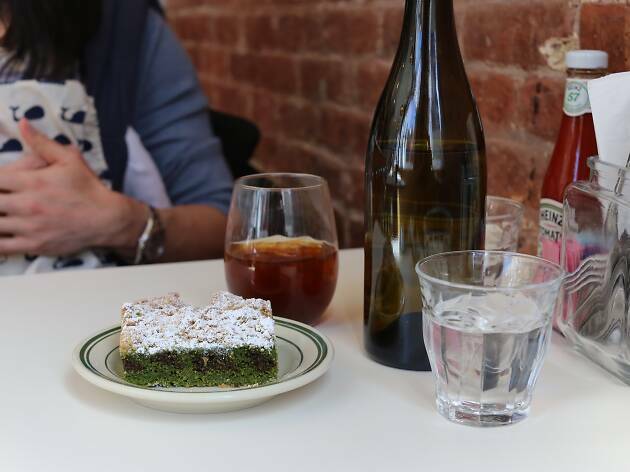 Baklava is for dessert. And, on special nights, DJs spin funk tunes on their record player. 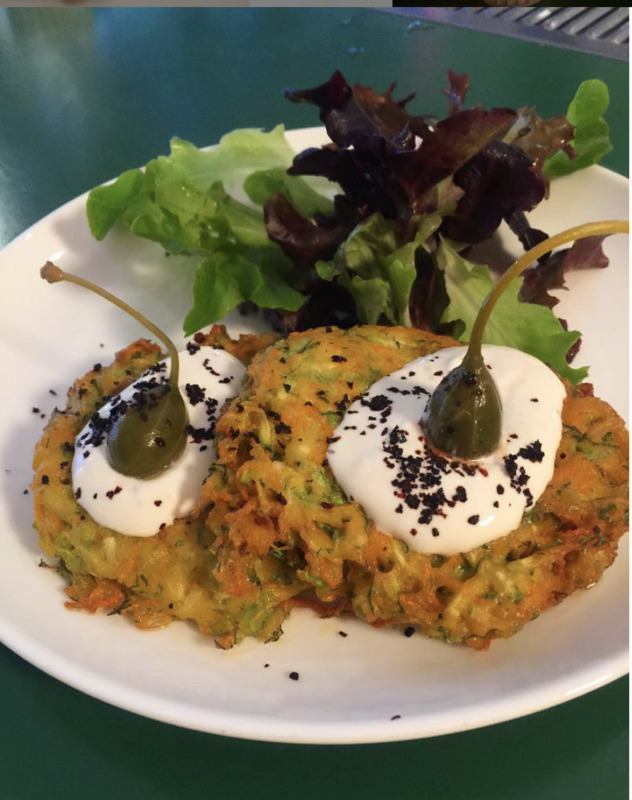 Ruby’s Vintage isn't a vintage store at all, but rather a spot for drinks, brunch and dinner in Central Harlem. 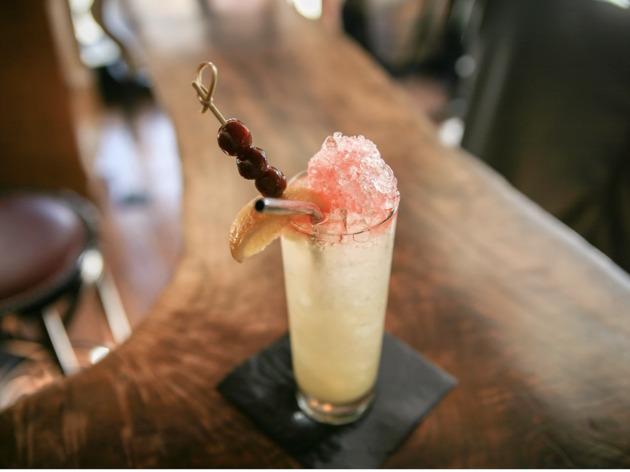 Located on Striver's Row, Ruby's Vintage takes its name after its location at playwright and civil rights activist, Ruby Dee’s childhood home. 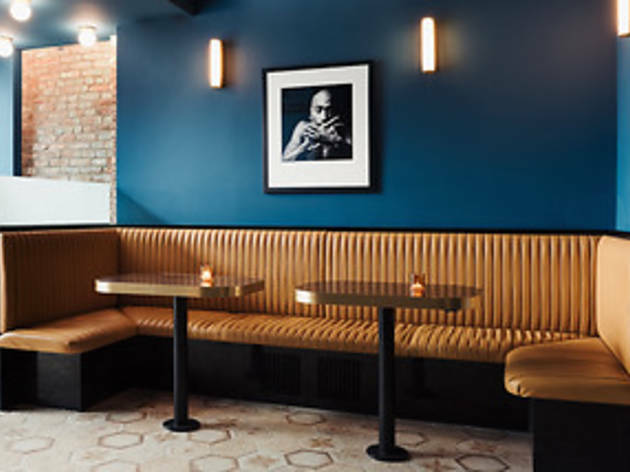 The bar’s tagline reads: “welcome to Harlem 1968: a hub for the artist- activist who shaped a generation,” and it’s accomplished not only through soul food, but soulful small design details of vintage records, portraits and a living room salon-style feeling throughout; co-owner Nikoa Evans-Hendricks has a background in Harlem restoration initiatives and she puts it to great use at Ruby's. 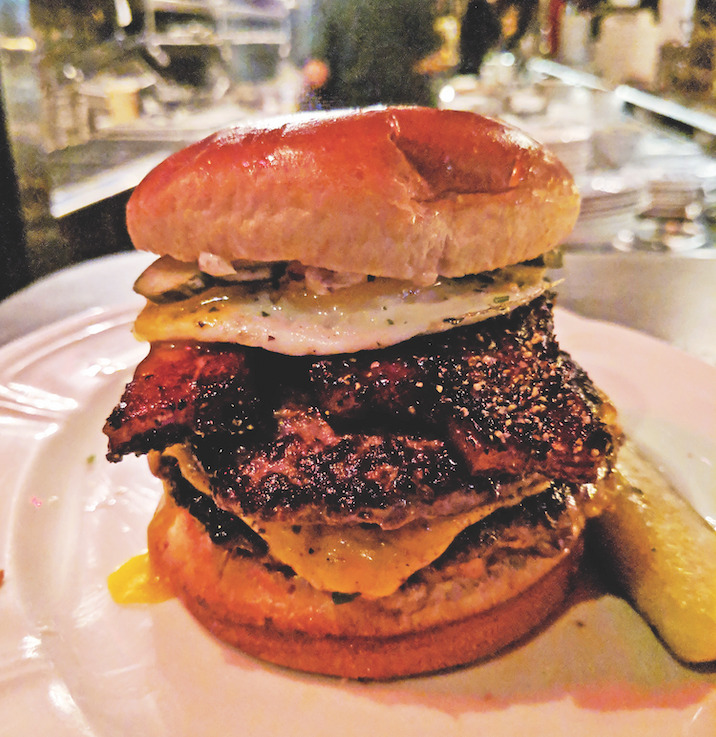 Au Cheval’s burger is often cited as the best burger in the country, so it’s no surprise the long lines have followed this Chicago favorite to New York since opening in March 2019. Another thing hasn’t changed: the cheeseburger (two patties for a single and three in a double) is still as decadent as ever. 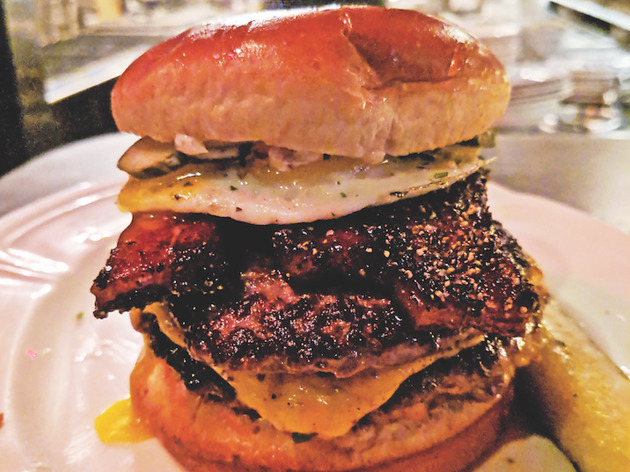 All the accoutrements, from a runny egg and thick-cut bacon to the stiff cocktails and crispy potato hash, are necessary to fully experience this “it” burger. 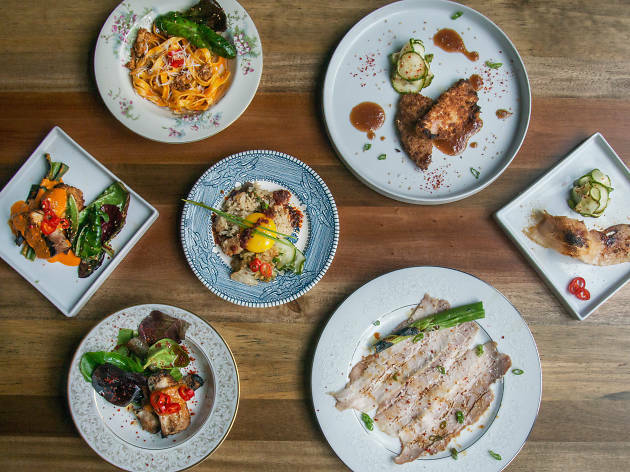 Located on East 4th street between Avenue A and B, Van Da is the latest Vietnamese restaurant to join the East Village. 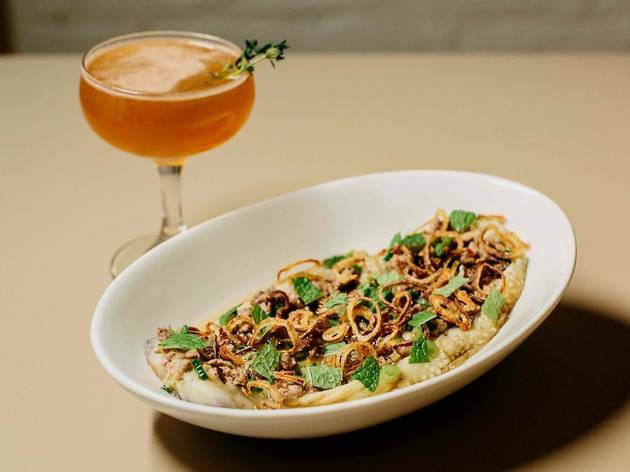 But Van Da, a project from restaurateur Yen Ngo and Gramercy Tavern alum chef Hannah Wong, isn't serving up pho and banh mi. Here, you'll find lesser known and harder-to-find Vietnamese dishes. Split into three cateogies: Hanoi, Hue, Saigon and Dessert, you'll find Banh Bot Loc, shrimp and pork tapioca dumblings for $9; sauteed morning glory with fermented soybean and garlic for $9; grilled squid with chinese sausage, hot peppers and rice cake for $18; Cha Ca La Vong (Turmeric Branzino) with fresh dill, bun noodles, seasonal vegetables for $24; and taro rice pudding for dessert, $8. The former Momofuku Ko and Torrisi chef opened an unlikely solo project: a diner in Two Bridges. Diner culture is dwindling in New York and Sam Yoo hopes to change that. 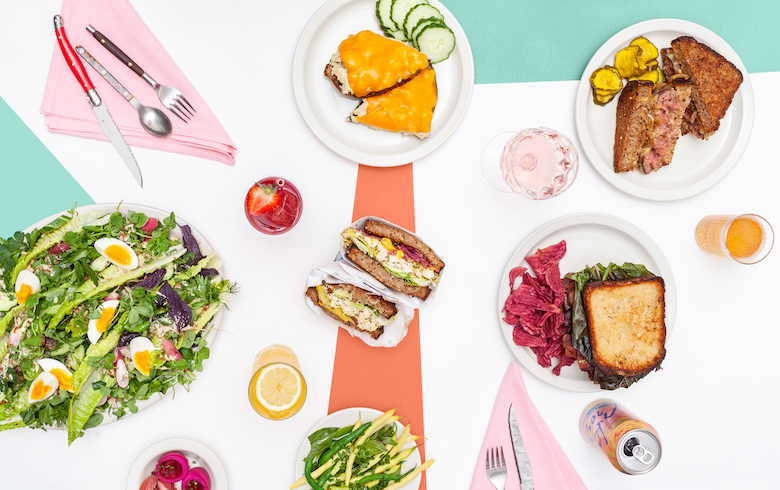 In addition to classics like grilled cheese, expect yuba club sandwiches, matcha crumb cake and chicken katsu BLTs. 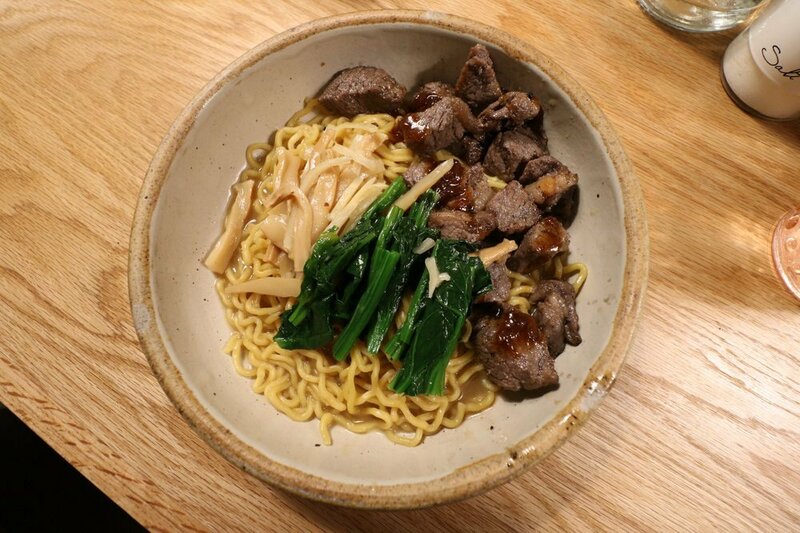 Ramen master Shigetoshi Nakamura built a following at his eponymous Lower East Side restaurant, but he opened Niche next door to introduce noodle-slurping New Yorkers to a less a common style of ramen called mazeman. 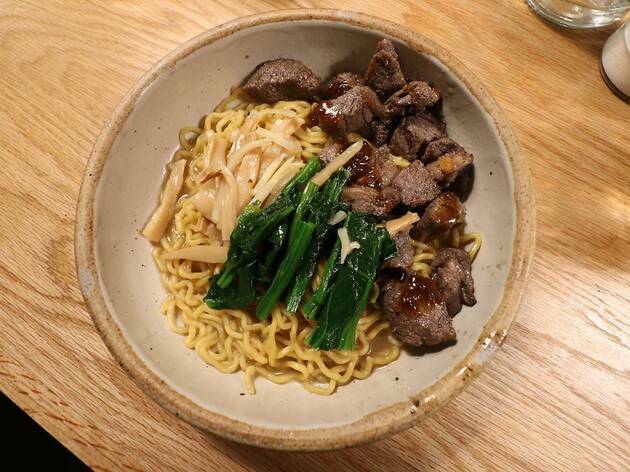 A brothless bowl of noodles may be topped with steak, smoked salmon or even clams. 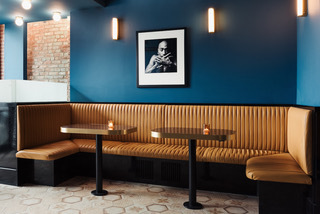 Enter through Saxon + Parole's restaurant and let them know you're looking for The Poni Room. The name is the secret code word to enter a subterranean seated bar and restaurant, with a totally separate menu from the upstairs East Village mainstay. 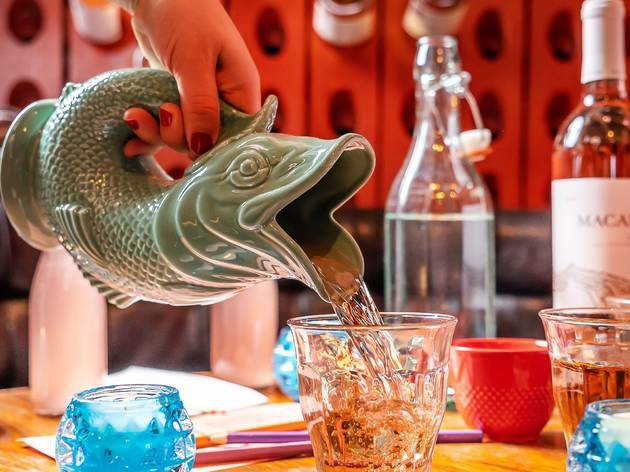 The Poni Room is loosely aquatic-themed, with seashell decor details, napkins that look like sails, and water and wine served from fish jugs. 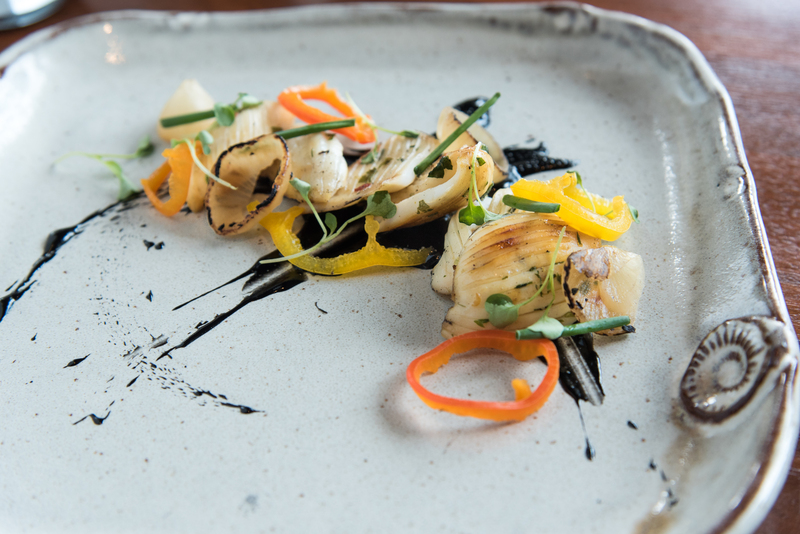 Going along with the theme, the menu— a collaboration between Chef Brad Farmerie and Chef Nicole Gajadhar— focuses on elevated bar snacks in the form of seafood skewers and small plates. Uni toast, smoked salmon with trout roe, avocado, cucumber and shichimi togarashi rice chips, coconut laksa with crab, scallop skewers with sweet chili sauce, and lobster bao buns, as well as a few meat offerings like sesame soy-braised lotus root and crispy pork belly with cucumber, chili-caramel, mint and cilantro. Though The Poni Room will have cocktails of all varieties, they specialize in an extensive rosé program—a roster of 20 different wines— that's interactive. Guests can actually head to the wine cellar and select what they think looks best, as opposed to abstractly trying to guess from opaque menu descriptions. 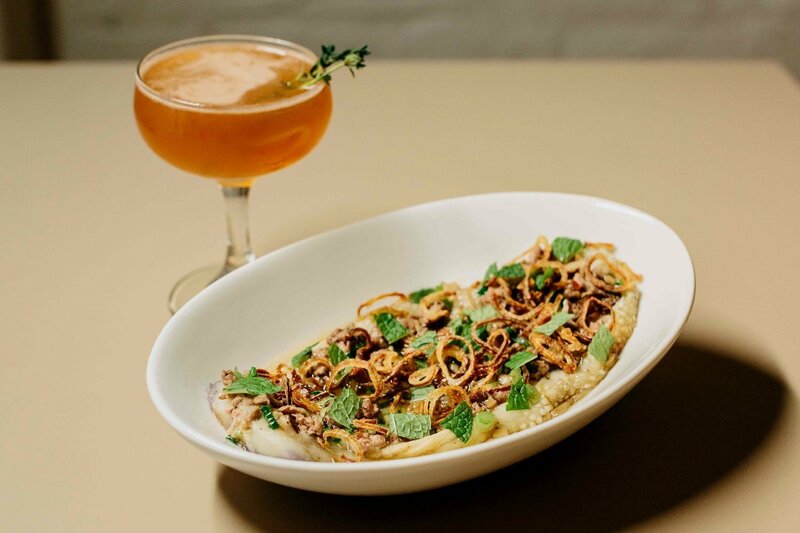 Owned by Kareem Bunton, a musical collaborator of Run the Jewels, Prefuse 73 and TV on the Radio, it's no surprise the bar is meant to feel like a '90s club. 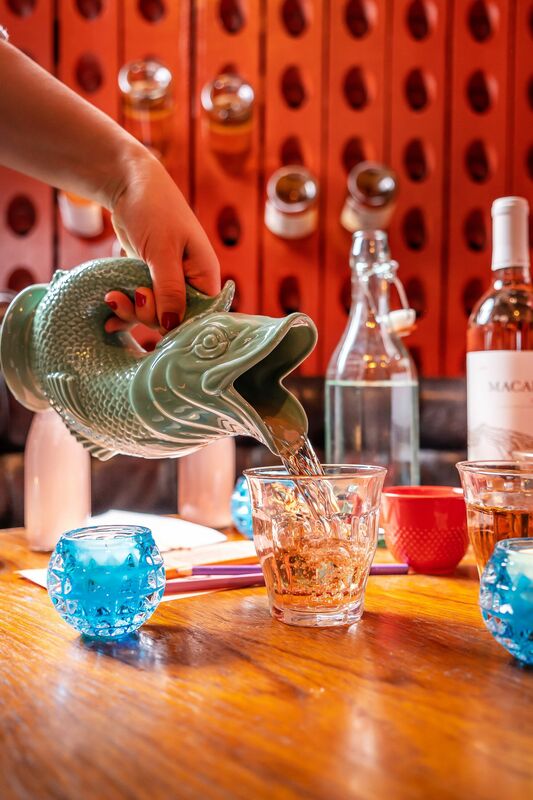 With a 1400 square foot patio and drinks by Lucas Moran from Chinatown's Mr. Fongs, it's a perfect place to have a dancing night-out, particularly in the summer.